Les Grandes Serres is another recent success story in the Southern Rhone Valley. Founded in 1977 by the negociant company, Grandes Serries, Michel Picard, the owner is also associated with producing wine in the Burgundy region. Les Grandes Serres is a true negociant firm. They do not own any of their own vines in Chateauneuf du Pape. Instead, they maintain long-term contracts with various growers in the Chateauneuf du Pape appellation. The name of the winery comes from one of the lieu-dits where they source their fruit from, Les Grandes Serres. Les Grandes Serres produces 3 red Chateauneuf du Pape wines and 1 Chateauneuf du Pape Blanc. Les Grandes Serres Chateauneuf du Pape is made from a blend that is mostly Grenache, but can include 20% Mourvedre and other varietals. Les Grandes Serres La Cour de Papes, their top level wine is made from a blend of 60% Grenache, 20% Syrah, 15% Mourvedre, 3% Cinsault and 2% Counoise. The vineyard is placed in the southern part of Chateauneuf du Pape. All the vines are at least 40 years of age. The wine is aged in used, French oak barrels for 12 months. Les Grandes Serres Domaine St Patrice Vieilles Vignes is made from blending 75% Grenache, 15% Mourvedre and 10% Syrah. The terroir is various rocks and stones, limestone, sand and clay soil. The vines are planted in several lieux-dits, Boislauzon, Les Bosquets, Bois Dauphin, La Bertaude, Gallimardes, Piedlong, Les Marines and Terres Blanches. Most of the grapes are destemmed. The wine is vinified in cement tanks and is aged in French oak barrels and demi-muids for 14 months, The production is on average about 2,000 cases per year. Les Grandes Serres Blanc is produced from a blend of 65% Grenache Blanc, 25% Bourboulenc and 10% Clairette. Les Grandes Serres produces 3 other wines from the Southern Rhone Valley, Terroir de Sable, a Grenache and Syrah blend, Terroir de Calcaire, a blend of Syrah and Grenache and Terroir de Galets, which comes from a blend of Grenache, Syrah and Mourvedre. Les Grandes Serres can be enjoyed on the young side. Young vintages can be popped and poured, or decanted for about 1 hour, give or take. This allows the wine to soften and open its perfume. Older vintages might need very little decanting, just enough to remove the sediment. Les Grandes Serres is usually better with 2-4 years of bottle age. Of course that can vary slightly, depending on the vintage. In the best vintages the wine should be consumed within 3-12 years after the vintage. Les Grandes Serres is best served at 15.5 degrees Celsius, 60 degrees Fahrenheit. The cool, almost cellar temperature gives the wine more freshness and lift. Les Grandes Serres is best served with all types of classic meat dishes, veal, pork, beef, lamb, duck, game, roast chicken, roasted, braised, stewed dishes, sausage, barbecue and cassoulet. Les Grandes Serres is also good with Asian dishes, hearty fish courses like tuna, mushrooms, pasta, eggplant, cheese and tomatoes. The white wine of Les Grandes Serres is best served with a myriad of different seafood dishes, shellfish, crab, lobster, sushi, sashimi, chicken, pork and veal, as well as Asian cuisine. Les Grandes Serres Cuvee Origine is produced from a blend that is usually close to 90% Grenache and 10% Syrah. 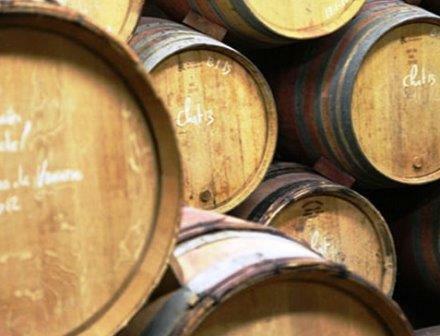 The wine is aged in used, Burgundy barrels that range from 2-3 years of age. This wine might not be in production any longer. Les Grandes Serres also produces wine from numerous other Southern Rhone regions including: Gigondas, Vacqueyras, Muscat de Beaumes de Venise, Tavel, Cotes du Rhone and Ventoux appellations. In the Cotes du Rhone appellation, Les Grandes Serres produces both red and white wines. Medium bodied, soft, elegant, early drinking charmer with fresh, light red fruits to get things started and a blast of dark, black cherries in the finish as it builds up steam. Minty, with a touch of oak, this is a polished, supple textured, modern styled wine. Forward and ready for drinking with its spicy, open, cherry and plum character. Medium bodied, light, earthy, early drinking style with a focus on the fresh, bright red berries.